A history of discrimination and powerful cultural differences can often keep Black farmers from growing organic. Jahi Ellis is in survival mode. His island is the 91 acres of farmland he owns in Vidalia, Georgia, nearly 200 miles outside of Atlanta. His current shelter is a shed on his family’s land. His four-year land redemption agreement ends next fall and if he doesn’t come up with the near $60,000 he owes, he could lose it all. Organic farming—and the price premiums it brings—is one of his last strategies for saving his family’s 144-year-old vegetable farm. Although Ellis is leasing some of his land to conventional farmers, the portion he’s been able to hold on to not only has the house, but also a family cemetery and a pond. He is living on little income and using food assistance benefits, while narrowly paying off a $7,000 loan for a high tunnel greenhouse. He hasn’t been able to afford equipment and he’s not certified organic yet, but his seeds, compost, and fertilizer are all organic. And he’s been working with a nearby farmer to get his products to several farmers’ markets in the region. Ellis is mindful of the mounting odds and earnest pleas from his family to go back home to his native Detroit. But he has spent the last year channeling his slave ancestors’ backbreaking work ethic on his own in the Georgia heat. Ellis might feel alone most of the time, but he’s one of many Black farmers facing similarly challenging odds. A history of discrimination, mass land loss, lack of start-up capital, lack of collateral for loans, and a multi-generational distrust of federal programs have put Black farmers behind in the organic movement. Hundreds of years after King Cotton and the Reconstruction Era, and decades after Jim Crow Laws, feelings of racial discrimination continue to overshadow Black farmers’ progress in the South and their ability to get ahead in agricultural. For instance, a 1997 class-action lawsuit (Pigford v. Glickman) found that the U.S. Department of Agriculture (USDA) systematically discriminated against Black farmers in its allocation of farm loans and assistance between 1981 and 1996. Settled in 2010, the case entitled impacted farmers to collect $50,000 each. If organic farming is at the forefront of American agriculture, many Black farmers are still catching up. The USDA’s 2014 Organic Survey released in September found that 14,093 certified organic farms in the United States sold $5.5 billion worth of organic food. The survey did not capture race and ethnicity, but the 2012 Census of Agriculture found that of the over 33,000 Black-owned farms, only 116 of them (or less than .05 percent) are certified organic. And when it comes to sales, Texas is the only state in the southeast—the region where the majority of Black farmers are—to make it into the top 10 states producing organic food. The lack of solid data on Black organic farmers is a pet peeve for Cynthia Hayes, executive director of the Southeastern African American Farmers’ Organic Network (SAAFON) in Savannah, Georgia. The organization represents more than 120 farmer members in Alabama, Georgia, Florida, Louisiana, Maryland, North Carolina, South Carolina, Virginia, and the Virgin Islands. The group provides education and training for Black farmers on best practices for organic and sustainable farming. Hayes said the organization is in the process of developing a culturally sensitive survey that could provide a better window on how well Black farmers are doing. For one, organic certification may not be the only indicator of sustainable practices in this community. Natasha Bowens, author of The Color of Food, a book on farmers of color and their experiences, agrees. She said many of the farmers she met were resistant to—and often offended by—the idea of USDA certification for organic farming. “This term ‘organic’ doesn’t vibe well in the Black community because we have to remember the practice of growing organically has always been there,” she says. And yet, if farmers like Ellis can get certified, it’s likely that they will earn significantly more. One study released earlier this year found that organic agriculture is 22 to 35 percent more profitable than conventional. 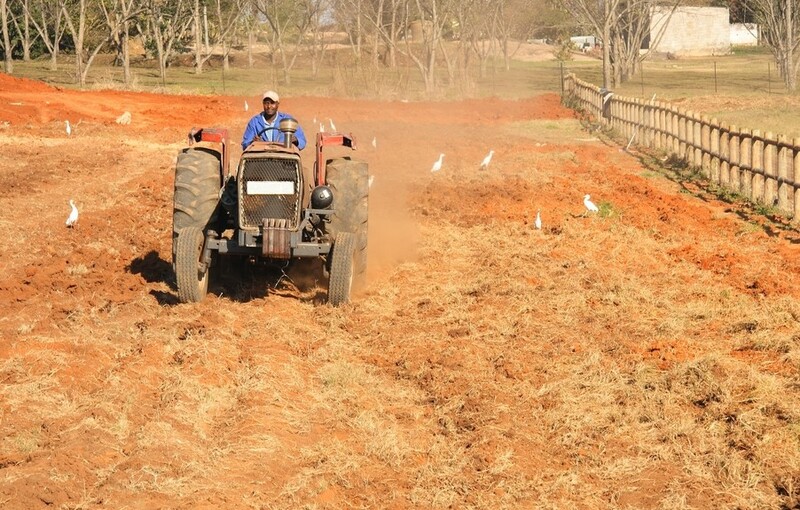 Hayes said that while farmers in SAAFON are doing well, there are still some hurdles that make Black farmers leery of transitioning to certified organic. One of them is the USDA’s grueling 19-page application. SAAFON runs a three-and-a-half day workshop to help farmers complete it. They even offer to pay the first-year’s annual fee. And although SAAFON works to make their members aware of as many conferences, grant programs, and resources as possible, Hayes says it’s not always enough. Ellis has been working with SAAFON as he plants his first season’s organic crops. He said Hayes calls him all of the time about potential grants and opportunities. But with no Internet service at home—a common challenge for many farmers and other rural folks—he has missed the deadlines so far. Helping Black farmers switch to organic goes beyond simply having someone available to answer their questions, said Bowens. She believes the USDA needs to do more cultural understanding training among its employees to work on the long-term effects of past discrimination and to hire more Black farmers from the communities to help with outreach efforts. The department launched its Cultural Transformation program effort in 2010, and has provided training for employees to work with underrepresented populations. And the agency says the initiative has led to a decrease in reported civil rights complaints from customers. The USDA also has an annual review process to ensure more women farmers and farmers of color are either elected or appointed to Farm Service Agencies on a county level. But it might be a while before these changes trickle down to impact the lives of farmers like Ellis. For now, he says he’s staying busy, preparing his first winter crop. He’s growing a variety of greens, heirloom tomatoes, pomegranates, persimmons, and spices like ginger and turmeric. He says he sees opportunity everywhere for these foods. "A history of discrimination and powerful cultural differences can often keep Black farmers from growing organic."???? Get real, all you have to do is open a catalog that specializes on organic seed, order and plant. Although government agencies try to get you to not go organic, it's your choice to do what you want. Just don't depend of places like "Extension Services" that are financed by companies such as Monsanto. They will tell everyone, regardless of race, ethnic group or what ever else to use said companies' products. Our garden group was floored when we were told to start by killing every thing with Round-Up, just the way they did it in the experimental plot. Not in my life, I eat what I grow organically. I personally avoid Organic Produce at the Grocer's such as Walmart, Publix, Kroger, Ingles, Food Depot and so on because I refuse to pay the price. I am lucky in that I froze 91 one quart size Zip Loc bags of Organic Veggies from my own garden last August. Now to throw race into this mix is horrible wrong because none of the shoppers would know this man is Black and most of us could care less... Now if he has made bad decisions like so many Farmers and Ranchers have, that is not my problem, nor should I have my taxes used to support someone who might not have the where-with-all to be a Farmer or a Rancher... I've made bad decisions in my life and had to live with them so why not every one else.. What you have here is Farm Welfare. Wrong! ALL farmers have it hard these days! My grandfather was a farmer so I know a little about that but to make it sound like its only a black thing AGAIN makes most people poo-poo the complaints, do we not see that?!? "[He] has spent the last year channeling his slave ancestors’ backbreaking work ethic on his own in the Georgia heat." was culturally sensitive or appropriate? There are black people who farm and want to get into farming, but I don't think anyone Black in any way wants to channel anything slave-like. The editors should have caught that. Do better. Are you saying the USDA's "grueling" 19 page application is discriminatory? What you have documented is the typical failure rate for organic growers, black, white or otherwise. The cruelest thing anyone can do for Ellis is continue to encourage him to flounder around with dreams of organic riches by stringing him along with promises of grant money for free. Ellis will never pay off his mortgage by following organic farming in the fashion he's currently being advised (or used, actually). A good article, but I have no comparable data for conventional farming. How do I know if organic farming is leaving black farmers behind when I don't see any information on conventional black farmers? How many organic acres are farmed by black farmers and how many conventional acres? Much of the history of discrimination, land loss, etc occurred prior to the organic label's existence. I think we need more data and research before we criticize organic. As the article says, "the 2012 Census of Agriculture found that of the over 33,000 Black-owned farms, only 116 of them (or less than .05 percent) are certified organic." While some of the others might be using organic practices, we can presume that most or all of the remaining 99.5% are selling into the conventional market. 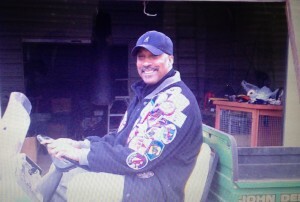 If well wishes were all he needed to keep his farm, Jahi Ellis wouldn't have a worry in the world. I wish him all the best and fervently hope he can redeem his land, keep his farm and to continue to do what he's doing. Thank you for highlighting his plight, and for helping us understand the challenges facing farmers of color, Marissa Evans and Civil Eats. We need to know more to do more. How could Ellis end up owing a $60,000 debt on a farm that's been in his family 144 years? Has the farm been mortgaged to the hilt all that time? Does racial discrimination have something to do with this debt? What does FSA have to do with all this? Were they the one's who caused Ellis to owe all this money? Why can't Ellis get his organic certification, is it because he is black? There are so many unanswered questions in this story. Please follow up with some answers. Hi: Many thanks for reading. I think if anything the sentence about "slave ancestors’ backbreaking work ethic" some of the major themes this story aims to highlight with the plight of the black farmer today. During my interview with Jahi he talked extensively about how the ancestral legacy of the farm is what is keeping him going. He said during our conversation that he felt like they were there with him in spirit as he works on the farm. I think the sentence reflects in more ways than one the larger theme of how race has defined black farmers' agricultural histories and land ownership. I'm not convinced it's a black thing. Look up how many Jews are farmers. Not many. And they aren't being held back by a legacy of southern slavery but, still, they are scarce in the farming biz. Also, who mortgaged Ellis' family farm? What did they do with the money that the guy is now broke and still owes so much to the banker? You said he rents out the homestead and lives in a shed? And he still can't afford a plastic tunnel? If he won't fill out the applications how can grant money flow to him? I certainly wouldn't hold Ellis up as a role model for black entrepreneurship. So there's a department that provides training for employees to work with underrepresented populations, which I presume means no whites allowed. Many blacks are living generationally on low income housing and welfare programs, and this man is utilizing at least, food assistance, which means there are at least some government programs blacks do not fear. Perhaps most just don't want to farm. And they have an issue with not wanting to fill out a 19 page app, so someone is going to do it for them? Is that not an issue of being lazy, or unmotivated? And get their first-year’s annual fee paid? Seems like a silver platter to me. Where are the programs for white people only? Great article that highlights the systematic marginalization of farmers of color in the US food system, and in 'alternative' food systems more broadly. I'd love to know if there are any efforts underway to do fundraising for Mr. Ellis like a Kiva Loan or any other programs. It's critical that we do what we can as a 'good food' community to keep farmers, and especially farmers of color, on the land. I'm not sure any of you have to be convinced. Sure farmers have it hard all over America right Now!!!! However if for one moment we can take out our own selfishness and understand this has been forever for black farmers. It's not just a black thing again you should feel upset that another farmer has experienced inequality at ANY time IN THIS COUNTRY- especially as a black farmer. It's not to take from white farmer it's just to say - while you all are just feeling the financial pressure now, blacks have always felt this level of pressure. Open your mind people!!!!! It's not a race it's a journey!